Passing through the gorges is difficult. Solid footwear, in winter aids such as climbing crampons, ice picks or at least trekking poles are essential. Passing through the gorges, unlike the other hiking trails, is possible only in the upward direction, upstream. 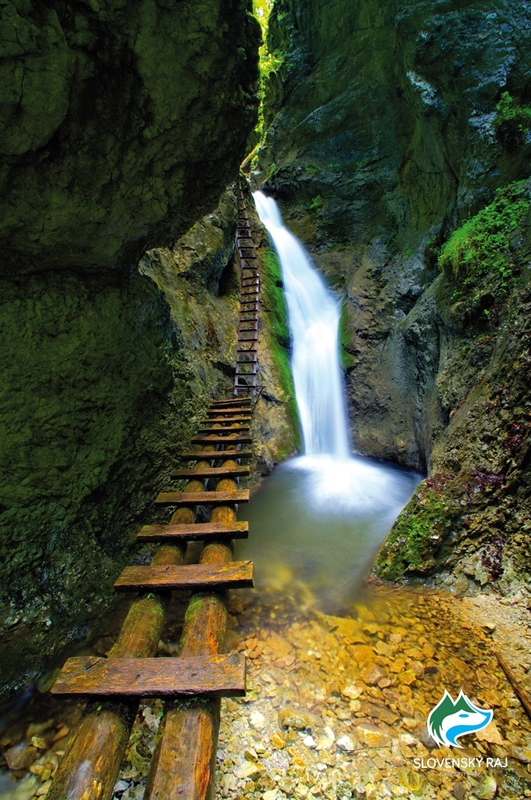 The most visited gorge of the Slovak Paradise. Starting point directly in tourist centre Podlesok in Hrabušice. 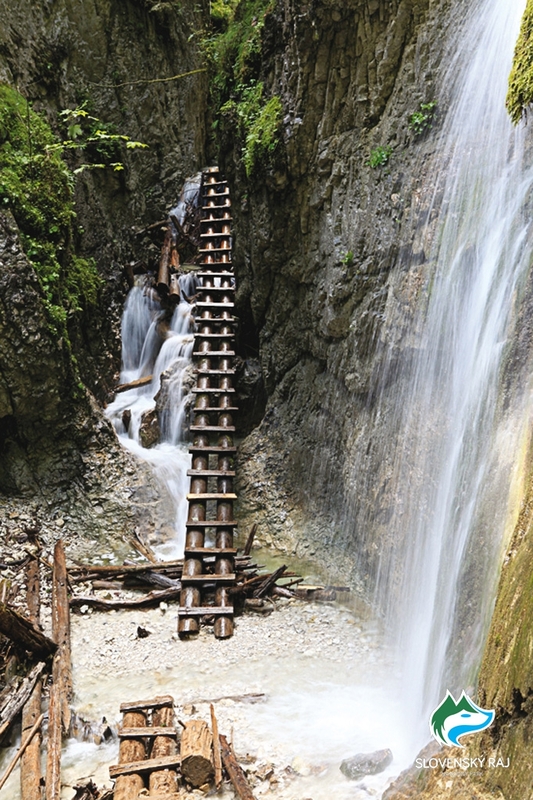 Short hiking trail via gorge is remarkable thanks to a high concentration of waterfalls. Start at the rope bridge in the Prielom Hornádu canyon. End at Kláštorisko. Alternative trail – 1 km long circuit in direction over the Obrovský vodopád waterfall, time of passage 0:30. 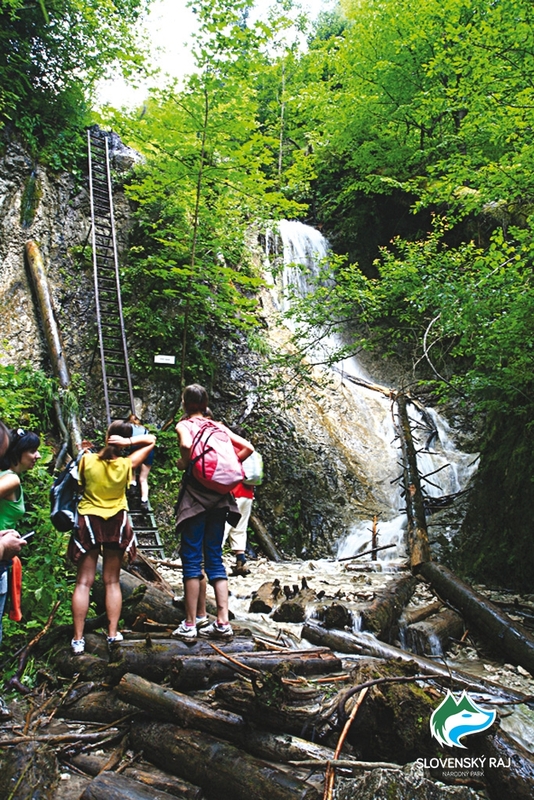 The Veľký Kyseľ gorge – an elevation change of 269 m, a length of 1,75 km, leading to Biskupské chyžky, time of passage 1:15. The Malý Kyseľ gorge – an elevation change of 224 m, a length of 1,5 km, leading to Suchá Belá - záver, time of passage 1:00. 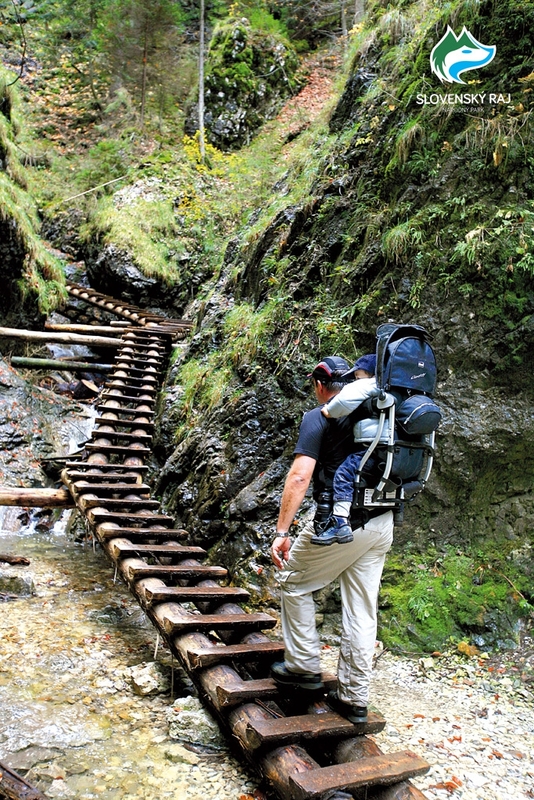 The most segmented gorge of the Slovak Paradise. Start at Píla next to Hrabušice. Trail leads to the Malá Poľana plateau. 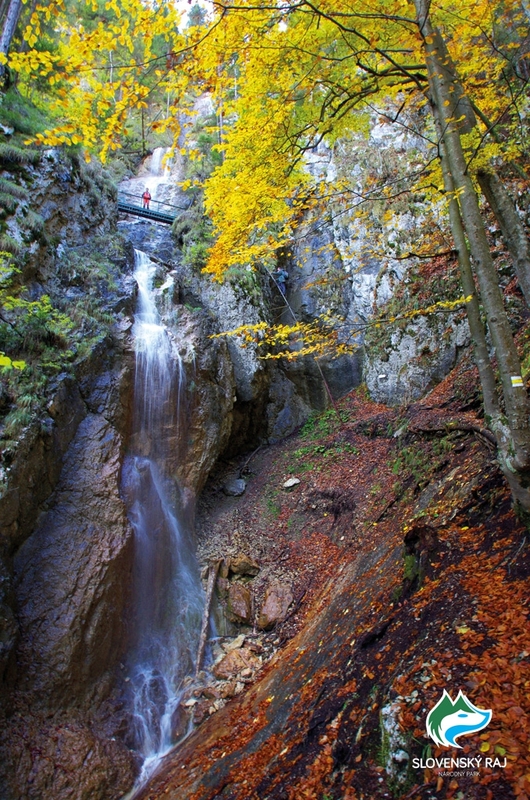 The most massive (the longest and steepest – 300 m high cliffs) gorge of the Slovak Paradise, which ends in romantic Róthova roklina gorge (with only 1 m wide rock gate Kamenná brána). Start at Píla next to Hrabušice. End on the Glac plateau. 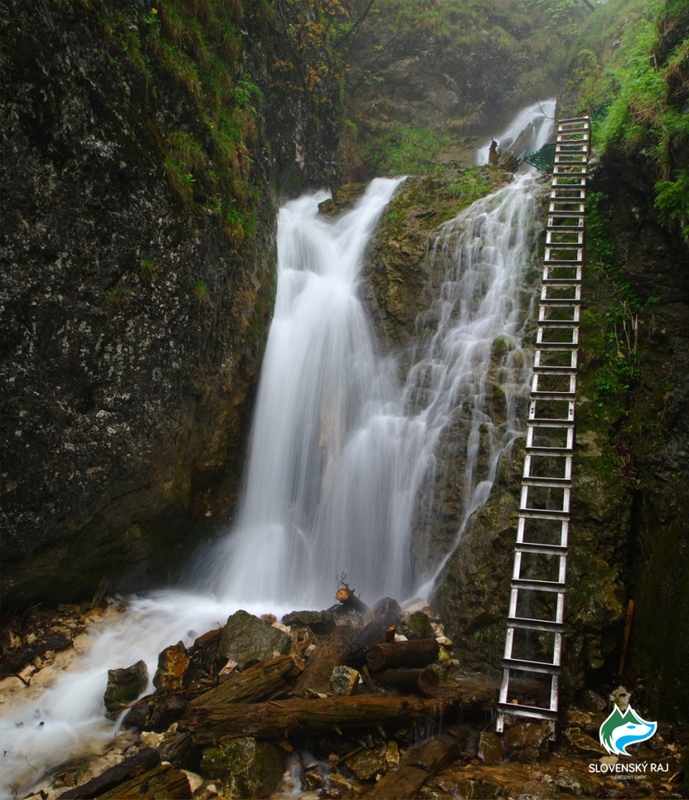 The wildest gorge with the highest waterfall of the Slovak Paradise – the Závojový vodopád waterfall (70 m) is the third highest in Slovakia. Start at the crossroads Sokolia dolina - ústie in the Tomášovská Belá valley. End at the crossroads Sokolia dolina - záver. 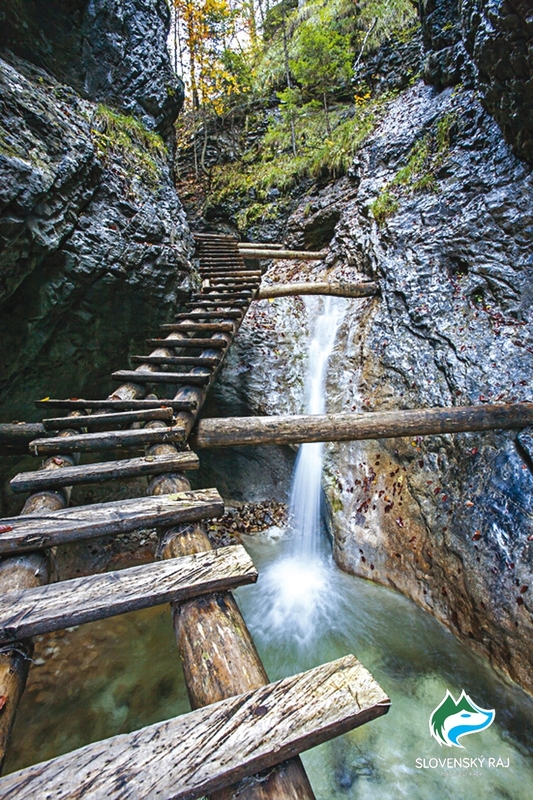 The shortest gorge, the only available in the southern part of the Slovak Paradise. Start in Biele Vody – part of the village Mlynky. End on the edge of the Geravy plateau.